Rescue a kidnapped scientist before his secret deadly formula is exploited. It’s 1941 and Australian scientist Howard Florey has been running clinical trials for penicillin. During his trials he created a penicillin-resistant bacteria. Florey has now been kidnapped and his deadly formula is at risk of falling into the wrong hands. Enter his home, find the formula and destroy it before it’s too late. Head to Head? Yes. 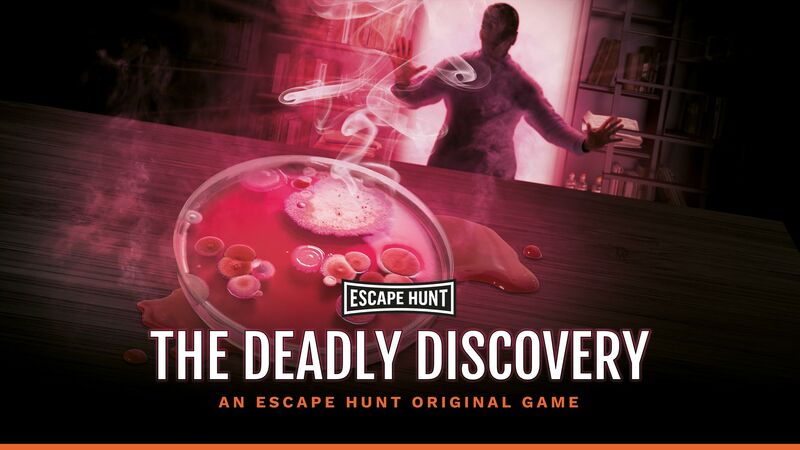 For 6-10 people, book both The Deadly Discovery rooms and go head-to-head. Literally the nick of time – we exited the Deadly Discovery Room with merely 41 seconds to spare! Though I was proud of my time, I don’t think it would be either healthy or sustainable for me to become a real detective given how extreme my heart rate was upon exiting the room. We had so much fun doing the escape rooms here! The puzzles were challenging and required some inventive thinking and so it was extremely satisfying when you solved them. I have done two other escape rooms before but today was the first time I escaped which felt awesome!! Very unique theme (The Deadly Discovery) with clever, satisfying puzzles that were just the right level of difficult. Cool waiting area. Recommended!